Sydney, Nov 30, 2010 (Global Fashion Wire) - Cartier, the number one luxury jewelry brand in China, continues to ramp up its presence in the Asian country with the opening of yet another flagship on Friday. The new store, which spans 900 square meters (9,687 square feet), is housed inside the Prince's Building, an upscale shopping center. The three-story boutique replaces Cartier's old store, opened in 1970, that was located on the ground floor of the same building. The new space is opulently decorated with oak-clad and bronze interiors, chandeliers, and mirrored walls. In addition to Cartier's full range of timepieces and fine jewelry, the new Panther de Cartier collection will be on preview here through its official release isn't slated until next year. The Panther de Cartier collection will be crafted in jade, diamonds and jadeite and is expected to be a hit among local shoppers since Chinese consider jade an auspicious stone. The opening of Cartier's Hong Kong flagship is a smart move given that Asian-Pacific luxury watch and jewelry markets have been thriving despite the recession (excluding Japan) and now account for more than 31 percent of the global market. 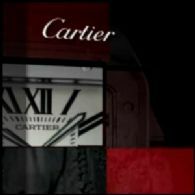 Cartier told The Wall Street Journal that it experienced double-digit growth in Asia since the financial crisis two years ago. What's more, Asia's watch and jewellery markets are on track to become the fastest-growing markets in the world over the next five years with spending expected to jump from $31.9 billion to $106.1 billion, according to a recent study by the market research agency Datamonitor. Ruta Perveneckaite, analyst at Datamonitor, said: "For western watch and jewelry retailers, China's increase presents an unrivalled opportunity to capitalize on continuing rapid economic growth and bring their brands to a newly affluent urban population. Factors such as female participation in the workforce and heightened brand awareness through extensive use of social media on the internet have further lifted the Chinese market." Cartier, which intends to double its boutiques across China in the next two to three years, is hardly the only Western brand with its eyes set on Asia. High-end jewelry brand Tiffany & Co. recently announced plans to open 25-30 new stores in China in the next three years. Meanwhile, French jeweller Van Cleef & Arpels rolled out four new stores in China this past year alone, bringing the total number of shops in the country from four to eight.